Welcome to St. Pius X! Thank you for choosing St. Pius X Catholic High School! Our students and their families are our community's greatest blessing. We are excited to walk alongside your child as he or she continues to grow in mind, body, and spirit. This page contains the information and forms you need to register your new Golden Lion as well as resources that will be helpful as you prepare for the first day of school. Please bookmark and check back often for updates. This "Who To Contact With a Question" list should help you direct inquiries to the correct person; if you have questions about information on this page, please contact the Registrar, Karen Travers. Once logged in to PowerSchool (parents and/or students), click the Teacher Recommendations icon in the left menu bar. Students with multiple languages listed will be able to choose on registration night. For those interested in the different theology placements, this video from last year outlines the courses. Students wishing to change levels in math, science, or world languages are required to take a placement test. No level changes will be made without placement testing. For English level changes, parents may request a file review from the department chairperson on registration night. Attending registration night is optional; all are welcome, but we understand that this is a very busy time for our families and many of you are familiar with the process. Consequently, courses selection can be done online any time between 5:00 pm on Wednesday, April 24, and 8:00 am Friday, April 26. An instructional email will be sent to the SPX accounts of all parents and students on Tuesday, April 23. The Lion Leader program is designed to facilitate the new student's transition into the St. Pius community. As a Pius “Cub” students will be matched with a senior or junior leader who will introduce them to our campus and answer questions they may have as they begin their journey toward academic, social and personal success as a Golden Lion. Students will be emailed a short survey just before Registration Night to help their Lion Leaders learn a bit about them before they meet. Transfer students will also be matched with a leader. Registration Night for incoming upperclass students is Thursday, April 25, at 6:30 pm. At that time, students will meet with a counselor to review prior courses, appropriate placement at St. Pius, and preferred electives. There is no supply list for St. Pius. Teachers will inform students of course-specific supplies during the first days of School. All students will be provided with a St. Pius academic planner. Textbooks for the year will be placed in students' lockers prior to the first day of school. A flat-rate book fee of $375.00 will be charged to your FACTS Incidental Billing account in August. At the end of the year some books may be returned for credit, which will be applied to your incidentals account. Every student must bring a device, which meets the specifications below, to his/her classes each day. All minimum requirements must be met in order for the device to be approved. Beginning with the class of 2023, iOS and Android tablets are no longer considered acceptable devices. Windows RT and Windows 10 S NOT acceptable. St. Pius X does not have a carpool pick up system like you might have experienced at your grade school. Parents and students are on their own to meet up for pick up in the afternoon once school has dismissed. Students are required to complete at least five service projects (“occasions of service”) in the academic school year. We do not count hours; however, each occasion of service must be at least one hour long. Incoming students may count occasions of service completed between April 11 and August 1, 2019. The paperwork must be turned in to Campus Ministry by Friday, September 6, 2019. Summer service project turned in after this date will not be accepted. More information and the Works of Mercy Verification form can be found on the Campus Ministry website. Complete Volunteer paperwork which includes a Volunteer Application and a consent form to run a background check or complete the required Volunteer paperwork online. Paperwork, registration information, and instructions will be available to new families beginning June 3, 2019. 1. This webpage — from now through summer this page will be updated with information you need to know and answers to frequently asked questions as we approach the first day of school. Please check back often. 2. Your SPX email — this is the official means of communication from the school and teachers. You will be added to the appropriate parent and school-wide distribution lists. 3. eSpiritus — a weekly newsletter emailed each Monday with the events and information you need to know for the coming week. 4. PowerSchool Parent Portal — this is the site for student schedules, grades/report cards, attendance, discipline, course registration, and enrollment. You can also configure your account to email progress reports to you on a regular schedule. 5. PS Learning — once school starts you will have access to your student's individual class websites as well as the online school directory and other campus organizations such as the Library, Campus Ministry, the Deans' pages, and more. 7. 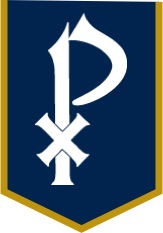 The St. Pius X website — has important reminders, upcoming events, quick links to system logins and parent organizations, and the school calendar. 8. The Golden Lines — the online student news site of St. Pius X Catholic High School.